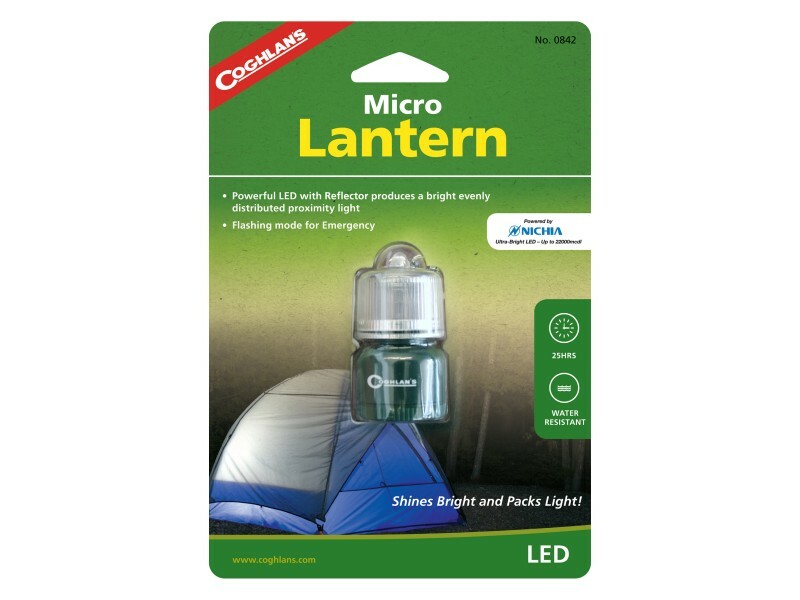 Buy LED Micro Lantern , from Coghlan's Ltd for $8.99 only in My e-commerce. The Micro Lantern uses a specially designed conical reflector and a bright NichiaTM 5mm LED to illuminate everything within a 6.5’ (2m) diameter. 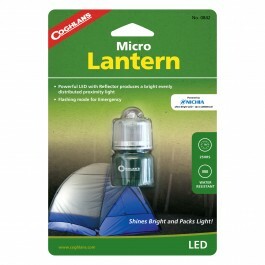 It’s the perfect tent or walking lantern and it fits in the palm of your hand. At only 2” (5cm) high, the Micro Lantern “Shines Bright and Packs Light”. Water resistant with a positive feel rubber ON/OFF button and flashing mode for emergencies. Attaches to your pack or jacket for the ultimate in portable light. Battery life: 25 hrs; 50 hrs Flashing.